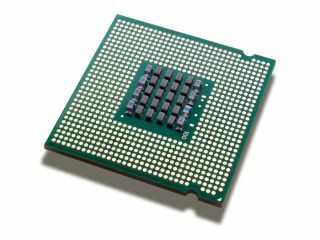 Intel under threat from new solar CPU? Intel might own 80 per cent of the world market for CPUs used in personal computers, but that doesn't mean it's invulnerable, especially not after news of a new threat from the Far East. The upstart is set to come in the form of a new venture from seven Japanese companies keen to work together on a new breed of chips that use far less power than normal processors. NEC, Toshiba, Panasonic, Fujitsu, Canon, Hitachi and Renesas (which is owned by Hitachi and Mitsubishi) are working on a chip that will run on solar power and that will also throttle its consumption according to how much work needs to be done. Ambitiously, the group also wants the final product to be able to somehow store power so that it can keep running even when the mains electricity is cut off. So far, current prototypes save 30 per cent of the power of standard CPUs, but the companies promise they'll reach their goal and have something ready by 2012. Watch out, Intel.